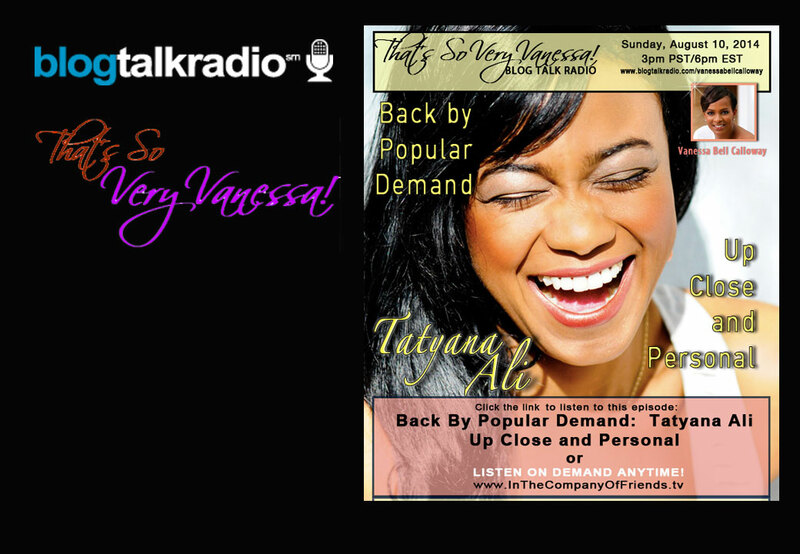 Actress Tatyana Ali, NBC’S” Fresh Prince Of Belair” & TV ONE’S “Who’s That Girl” is Back By Popular Demand! The Fans loved her so much she’s back to share what it was like growing up on TV opposite Will Smith, going to Harvard and re entering Hollywood as a young college graduate. She’s honest, funny and her sweet personality will captivate you!